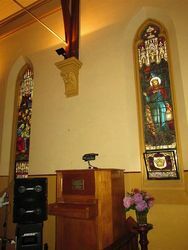 The St Andrew`s Chimes Carillon was installed by members of the church as a tribute to the men and women of the congregation who served in World War Two. 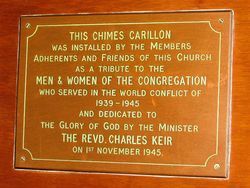 At the dedication service of the memorial chimes carillon in St. Andrew's Presbyterian Church last night, a prayer of commemoration and a prayer of thanksgiving was offered for all who lost their lives in the war. In an address, Rev. Charles Keir referred to the development of the chimes carillon, which was designed by Mr. J. Ernest Benson, a recent graduate of Sydney University. 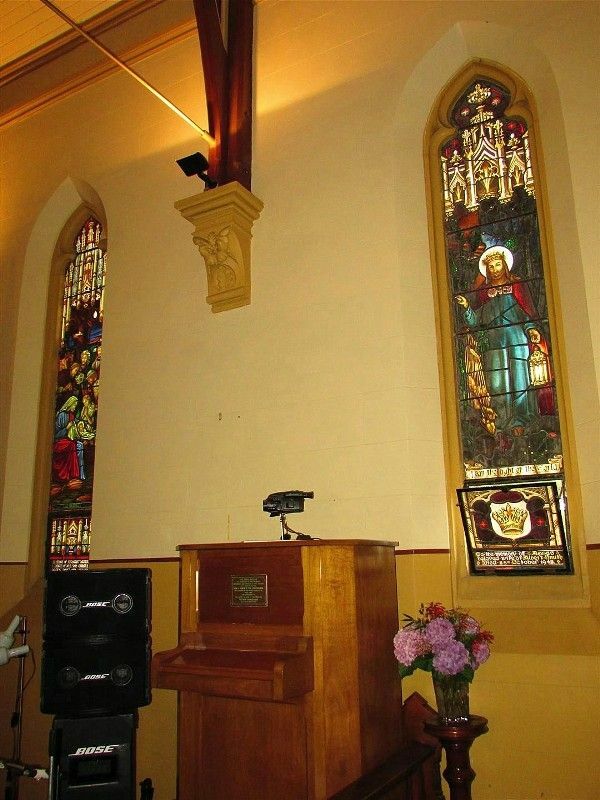 A brief explanation of the carillon was that pressure on the keyboard caused hammers to strike tubular bells, the tone of which was amplified and passed through projectors installed at the base of the steeple. There were many ends which this carillon could serve, but the chief was to be as a voice calling this and succeeding generations to remember the men and women who trod the path of suffering and sacrifice that our land, our Empire and our world might have peace. Some hundreds attended the service, the organist for which was Mr. E. Molyneux. At the prayer of dedication, the chimes carillon was consecrated to the men and women of St. Andrew's Church who served in the Navy, Army, Air Force and Merchant Navy. Immediately the dedication prayer was offered Mr. John Shaw played the Doxology and a verse of 'Oh, Rest in the Lord'' at the carillon, and after the dedication service he gave a recital. The Newcastle Sun (NSW), 2 November 1945.